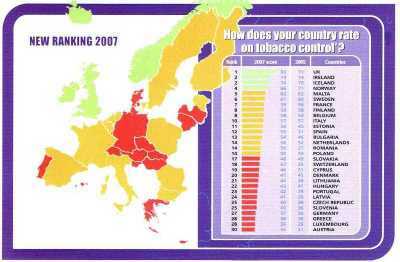 How does your country rate in tobacco control? This useful postcard is proposed by ECL. We have recorded many sessions but since the files are too big we need to edit them and separate each speaker's presentation. This takes time so we ask for your patience and understanding. To be automatically informed when a new podcast becomes available just subscribe to the blog and you'll receive the information directly in your email box. Have a safe trip home and thanks again for your contribution. After yesterday`s heated discussion regarding the Tobacco Industry`s attendance at the conference the Executive Committee had an extra meeting and announced before the start of the plenary session "ìnfluence of the Tobacco Industry`" that they were not welcome and invited anyone who was in the pay of the Tobacco Industry to leave. There then followed session on what tobacco control should focus on to counter the continued growth and profitability of the global tobacco industry. Obviously I will not go into detail here as the Tobacco Industry might read it! During a discussion after some presentations at the parallel session on Future of Tobacco Control in Europe, it was pointed out that tobacco industry (TI) representatives disguise themselves at meetings. The Chair invited TI reps in the audience to identify themselves, whereby four raised their hands. Cecilia who just started podcasting at the Basel conference has been a wonderful tobacco control advocate since the early 1980s. A lesson in persistence and enthusiasm. Doug is acting director for the WHO Tobacco Free initiative. Theres a loose snus aboot this hoose. Its a bit unfortunate that I do alot of talks on Swedish snus. In the presentations I have to distinguish between snus portion-packed in little tea-bags and "loose" (like ground coffee). With my Scottish accent the words loose snus seems to provoke laughter from the audience even though Im trying to be serious. Oh well. Todays session on snus/harm reduction was well attended but didnt produce the usual fireworks elicited by this topic. Does the nicotine vaccine work? At todays session on "The future of Smoking Cessation" (chaired by Jaques Cornuz) there was a fascinating presentation of new data from a Swiss trial of a new nicotine vaccine. The results were consistent with the few previous vaccine trials in demonstrating a significant effect of the vaccine in helping smokers quit (versus placebo vaccine). However, the effect was no better than existing medicines (eg NRT). Again quite a few gaps from those accepted but not turning up. The poor positioning of the posters has robbed the participating delegates of the audience they deserve. More details of individual countries` smoke free class initiatives added little to the morning session. Collaboration on themed topics such as this could have been more useful. Day 2 Session 2 - Smoke free class competition? The first session of the day was likely to be the most controversial. Following the RCP report of last week Harm Reduction is a hot issue in the UK and the session attracted a good sized audience. Detailed presentations from fellow blogger Jonathan Foulds and Dorothy Hatsukami concentrated on the relative risks of SNUS and other oral tobacco products. These were followed by a debate. Socialising with colleagues and new contacts is an important part of conferences. Some might think it sad but generally conversations drift back to tobacco topics. This was certainly true of the end of day 1. A mixed bunch of British, Swiss and Americans joined together for an impromptu meal. 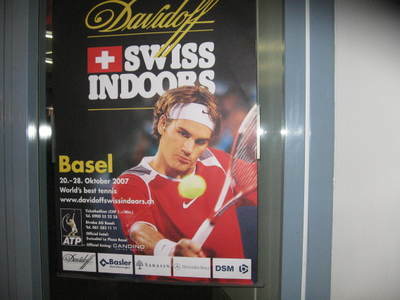 Similar groups of delegates were doing the same all over Basel. For those who have not been to conferences before I should explain that not only do many start early and continue all day but in addition there are often extra sessions organised in the early evening. I am always surprised that so many people are still eager for more. Basel is no exception. Smoking in Norwegian Movies: Trends in Frequency 1945-2004 - Saebo of Norway presented his preliminary findings on smoking scenes from 196 Norwegian movies (69% of the final sample). Especially interesting were early findings from a comparison of smoking in films versus the real world, where prevalence of smoking in the film world was higher than “real life” between 1955 to 1975, but was lower from 1975 onwards. The interesting session on Health Promotion was chaired by ECL member Dutch Cancer Society's Stefan Wigger. I had joined the session late, but was just in time for the presentation by Cancer Research UK's marketing Manager, A. Brown, who gave example of ads as part of her presentation on "Smoke is Poison - advertising to raise awareness of toxic chemicals in tobacco smoke" . The ads are viewable here. The ads are interviews with people who work with hazardous chemicals, and show the natural surprised reactions of the workers when they are told that those same dangerous chemicals are found in cigarette smoke. Re the ad on "Formaldehyde Video Ad", the speaker said the funeral manager, a heavy smoker, was genuinely shocked and proceeded to quit after the video was made. For many folks in tobacco control, October is an exceptionally busy month. I was just at the annual meeting of the Society for Research on Nicotine and Tobacco (SRNT) in Madrid last week, popped back to New Jersey for a few days and have just arrived in Basel (via Zurich) for the 4th European Conference on Tobacco or Health. Then later in the month its the US National Conference on Tobacco or Health. Anyone ever think of spacing these things out? Several presentations relating to `hard to reach`communities. Clearly a problem in virtually all countries. A lack of evidence on this subject reminded me that we (those implementing tobacco control policies etc) often carry out intiatives but don`t get round to writing them up for others to learn from or to build the evidence base. Even though we knew the result had to be good for the UK as Luc progressed through all the countries giving a sentence or two summary for each (Austria 30th out of 30) I could not help but feel the tension mounting. Over breakfast I had already met with colleague Andrea Crossfield where, although we meet regularly in our own country, we finally got together to discuss how we can make the most of a new EU funded project. Having not visited another coutry without comprehensive smoke free law since 1st July I was wondering when I would get my first whiff of indoor air pollution. As it happens my wife and I were able to travel from Birmingham to Zurich and then onto the hotel in Basel (using the ruthlessly efficient Swiss transport system) all in relatively clean air. Jonathan Foulds, Ph.D. is a professor at the University of Medicine & Dentistry of New Jersey – School of Public Health, and is the Director of the Tobacco Dependence Program at UMDNJ-School of Public Health. I work as Smoke Free Birmingham Programme Manager co-funded by the Department of Health and local health care trusts. I have been involved in tobacco control in England since 2005 and together with colleagues worked to achieve a comprehensive Smoke Free Law. The new law was introduced this summer. The Smoke Free Birmingham Coalition is concerned that smoking has become a disease of the most disadvantaged and continues its activity to target key policies, plans and funding to reduce tobacco use and smoking prevalence especially in the most deprived parts of the city. As the Director for the Association of European Cancer Leagues (ECL), one of this 4th ECToH’s organisers, I look forward to contributing online here. For those of you not familiar with us, ECL is an alliance of national and local cancer leagues across Europe, which connects the efforts of cancer leagues throughout Europe and works toward influencing EU and pan-European policies. Tobacco control is one of ECL’s main and long-standing priority areas. My interest in tobacco control started umpteenth years ago with my doctoral research at Hopkins exploring how websites were being used for tobacco control. One of my current non-day jobs is researching on how the web can improve as a tobacco control tool for youth, and developing web-based educational content for children and youth. Since ECL is a permanent co-organiser of European ToH conferences, we would welcome advice from seasoned conference attendees and feedback from those attending this ECToH on how future conferences might be improved to further your work. I have been involved in tobacco control in England since 1985 so it was with particular pleasure I witnessed the introduction of the Smoke Free Law this summer. As Regional Tobacco Policy Manager for the Department of Health in the West Midlands and a member of the Tobacco Control Centre team I have an interest in all aspects of the conference. However, I shall be spending much of my time looking for ways to enhance our future programmes and to make the most of the progress we have made so far. Through the blog I hope to provide honest feedback especially for those unable to attend in person. After the positive experience of a collective blog during the COP2 conference in Bangkok we decided to conference blog again during this 4th European Conference Tobacco or Health. We thought it would be good to have participants share their comments on line about what is happening so that the wider, global community can feel/be involved. Until now the tobacco control community has not been using very much the web2.0 tools, including blogs. We hope this conference can be an opportunity to introduce more tobacco control advocates to blogging. You are welcome to give it a try by joining the team of our contributors (it's as simple as email). 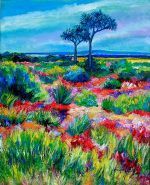 To become a co-author, please email me so I can register you and email you the information so you can access the blog. It is as simple as emailing and don't hesitate to contact me if you have any problem. Philippe Boucher is Blogger in residence for GLOBALink where he writes glkvideo, tc images, graphic warnings, nuigrav (in French along with la revue de presse and pour des avertissements graphiques ), smoke-free hotels, rendezvous, as well as the podcast globalink radio. He is also in charge of GLOBALink Africa a program that promotes african bloggers like Jackie Tumwine, Francisco Cabo, Pascal Bogui, Adeola Akinremi, Véronique Le Clézio. He edits African News. GLOBALink Africa is sponsored by the Norwegian Cancer Society in collaboration with the Framework Convention Alliance.